I think there is no better way to experience a city than through restaurants. I first fell in love with Ethiopian food when living in the Chicago area and ever since, I’ve kept a recipe for berbere spice in my repertoire. Traditionally this spice is used in dishes like Doro Wot (a long cooking spiced chicken stew) but I’ve found it works beautifully with lentils. 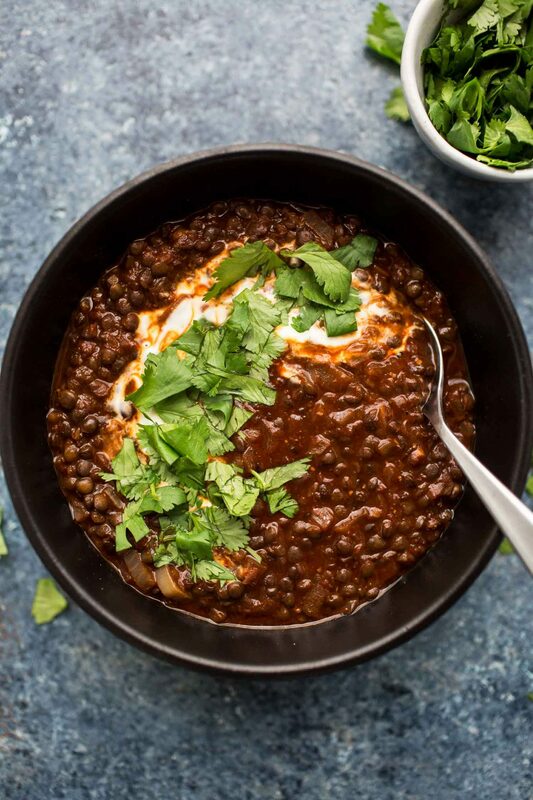 The spice blend makes for a rich stew, even though the base of this lentil stew is vegan. 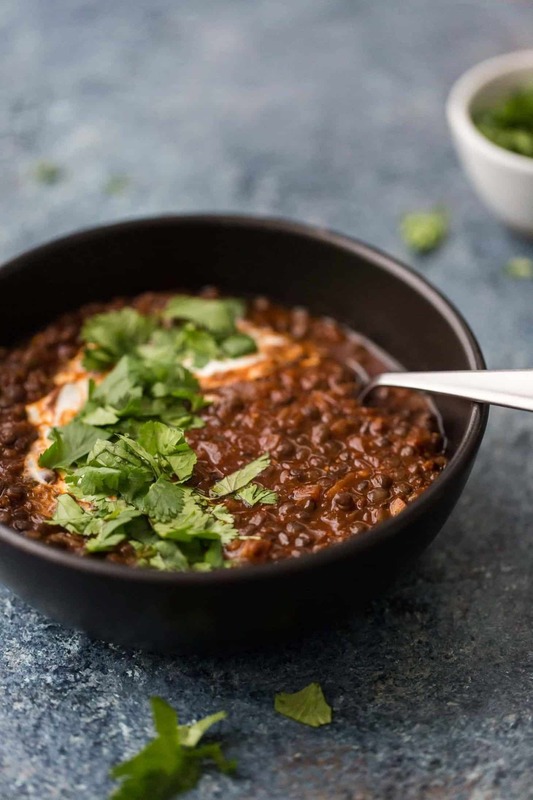 A rich, spice-heavy black lentil stew that relies on the Ethiopian spice blender: berbere that is heavy on chili peppers. Heat a pot or dutch oven over medium heat. Add the olive oil followed by the minced onion. Cook until the onion is translucent, 5 to 6 minutes. Add in the ginger and cook for a minute more. Measure in 3 tablespoons of the berbere spice and stir to coat the onions. Add in the black lentils followed by the vegetable broth and 1 cup water. Bring to a boil, reduce to a simmer, cover, and cook for about 25 minutes. Check and stir occasionally, adding water as needed. Once lentils are mostly tender, stir in the tomato sauce and lemon. Continue to cook for another 5 to 10 minutes until lentils are tender. Taste and add more berbere seasoning, lemon juice, or salt as needed. Tips & Tricks: I highly recommend blending your own Berbere spice. Grinding your own peppers allows for a better flavor and better control of the heat. Two recipes for Berbere that I like can be found here and here. If you’re worried about the heat level, start with 1 tablespoon of the berbere spice and go from there. Some blends are extremely spicy! Sweet Potatoes/Carrots: Add cubed sweet potatoes or carrots to the stew to add a bit of extra vegetables. Greens: Stir in spinach, kale, collards, or chard towards the end of cooking. Vegan: Leave off the yogurt! Lentils are a huge part of my diet, right up there with chickpeas and black beans. 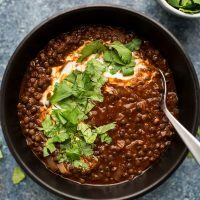 I love keeping an assortment of lentils on hand but I’m partial to the black lentils. Because they hold up so well to cooking, I use them in salads, tacos, enchiladas, and recipes like this lentil stew. Best of all, they cook in about 30 minutes. Much quicker than dried beans! Thank you for this lovely, homey stew that makes beautiful use of pantry staples. And for giving me a substantial way to use the Berbere I’ve had in my pantry, but haven’t used as readily. I know the whole point of this was to use black lentils, but I’m really trying to cook from what I have so I used green instead, and it was lovely. I threw in a ton of finely-chopped kale at the end and topped it with coconut yogurt. My Berbere was incredibly spicy, so three tablespoons yielded a nose-drippingly hot stew, but the coconut yogurt mellows it out and I don’t mind the spice. 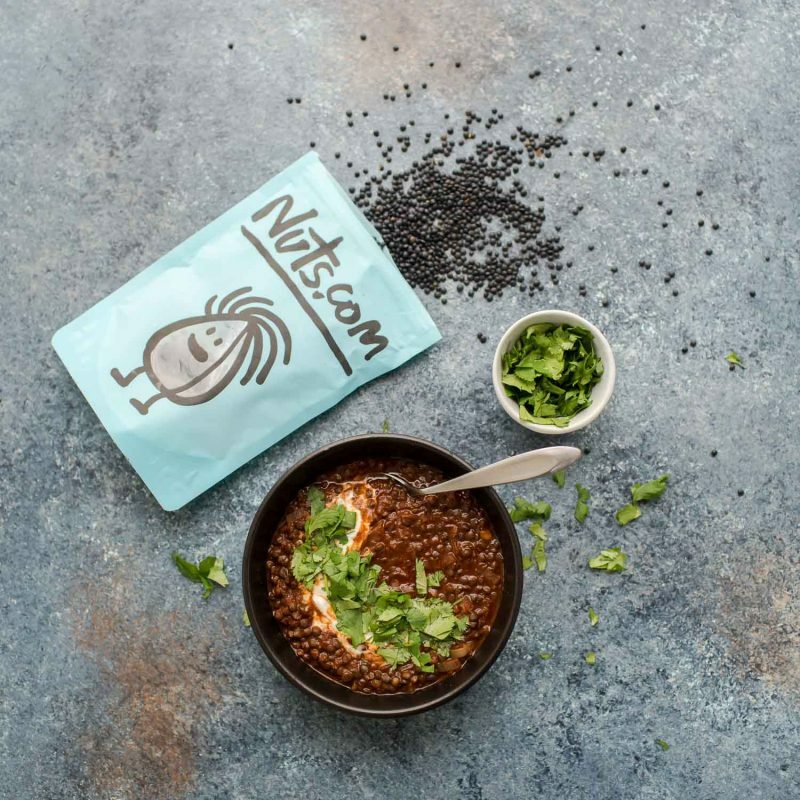 So happy to have a new twist on lentil soup in my back pocket! Thanks for the review and you’re totally right- I just added a tip in about the berbere spice + heat level. I always make my own and adjust the levels of the spice elements but I know store blends can be incredibly spicy! 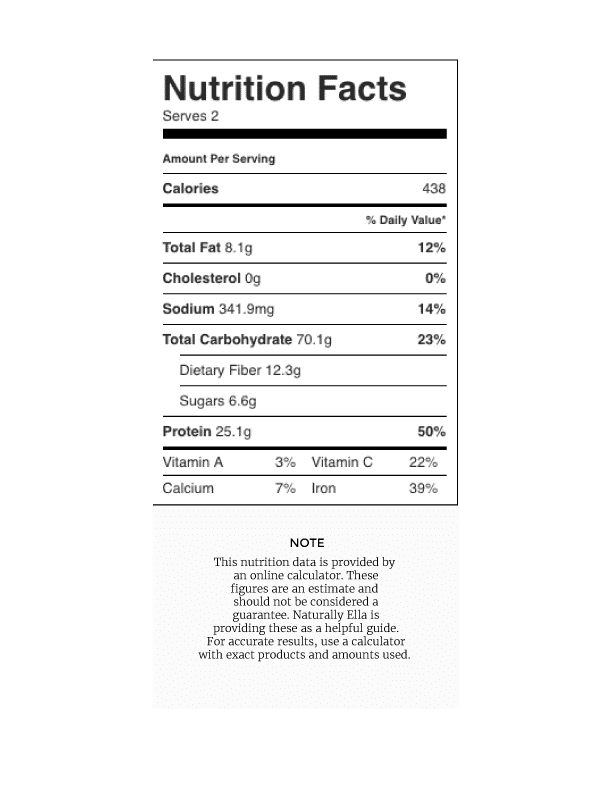 I have a bag of frozen cubed sweet potatoes I would like to add to the recipe. Should I roast them first or just add them to the stew and let them cook that way? Also, at what step in the recipe should I add them to the dutch oven? Thanks! You could roast them and add them at the end but I would probably add them with about 15 minutes of cooking left and let them cook that way! Hi! What tomato sauce do you recommend (if we are not going to make our own)? I love your recipes!!! Thank you! I like Muir Glen, primarily because they have a low-sodium, no-sweetener tomato sauce!